dataset : Contains the five classes, each class is its own respective subdirectory to make parsing class labels easy. examples : Contains images we’ll be using to test our CNN. The pyimagesearch module: Contains our SmallerVGGNet model class (which we’ll be implementing later in this post). plot.png : Our training/testing accuracy and loss plot which is generated after the training script is ran. lb.pickle : Our LabelBinarizer serialized object file — this contains a class index to class name lookup mechamisn. pokedex.model : This is our serialized Keras Convolutional Neural Network model file (i.e., the “weights file”). train.py : We will use this script to train our Keras CNN, plot the accuracy/loss, and then serialize the CNN and label binarizer to disk. classify.py : Our testing script. Note: You’ll also want to create an __init__.py file inside pyimagesearch so Python knows the directory is a module. If you’re unfamiliar with __init__.py files or how they are used to create modules, no worries, just use the “Downloads” section at the end of this blog post to download my directory structure, source code, and dataset + example images. width : The image width dimension. height : The image height dimension. depth : The depth of the image — also known as the number of channels. classes : The number of classes in our dataset (which will affect the last layer of our model). We’re utilizing 5 Pokemon classes in this post, but don’t forget that you could work with the 807 Pokemon species if you downloaded enough example images for each species! Note: We’ll be working with input images that are 96 x 96 with a depth of 3 (as we’ll see later in this post). Keep this in mind as we explain the spatial dimensions of the input volume as it passes through the network. Above is our first CONV => RELU => POOL block. The convolution layer has 32 filters with a 3 x 3 kernel. We’re using RELU the activation function followed by batch normalization. Our POOL layer uses a 3 x 3 POOL size to reduce spatial dimensions quickly from 96 x 96 to 32 x 32 (we’ll be using 96 x 96 x 3 input images to train our network as we’ll see in the next section). Stacking multiple CONV and RELU layers together (prior to reducing the spatial dimensions of the volume) allows us to learn a richer set of features. We’re increasing our filter size from 32 to 64 . The deeper we go in the network, the smaller the spatial dimensions of our volume, and the more filters we learn. We decreased how max pooling size from 3 x 3 to 2 x 2 to ensure we do not reduce our spatial dimensions too quickly. Notice that we’ve increased our filter size to 128 here. Dropout of 25% of the nodes is performed to reduce overfitting again. The fully connected layer is specified by Dense(1024) with a rectified linear unit activation and batch normalization. A visualization of the network architecture of first few layers of SmallerVGGNet can be seen in Figure 2 at the top of this section. To see the full resolution of our Keras CNN implementation of SmallerVGGNet , refer to the following link. Now that SmallerVGGNet is implemented, we can train our Convolutional Neural Network using Keras. We are going to use the "Agg" matplotlib backend so that figures can be saved in the background (Line 3). The ImageDataGenerator class will be used for data augmentation, a technique used to take existing images in our dataset and apply random transformations (rotations, shearing, etc.) to generate additional training data. Data augmentation helps prevent overfitting. Line 7 imports the Adam optimizer, the optimizer method used to train our network. I often get asked hereon the PyImageSearch blog how we can transform a class label string to an integer and vice versa. Now you know the solution is to use the LabelBinarizer class. The train_test_split function (Line 10) will be used to create our training and testing splits. Also take note of our SmallerVGGNet import on Line 11 — this is the Keras CNN we just implemented in the previous section. If you are using a Python virtual environment (as we typically do here on the PyImageSearch blog), make sure you use the workon command to access your particular virtual environment before installing/upgrading imutils . --dataset : The path to the input dataset. Our dataset is organized in a dataset directory with subdirectories representing each class. Inside each subdirectory is ~250 Pokemon images. See the project directory structure at the top of this post for more details. --model : The path to the output model — this training script will train the model and output it to disk. --labelbin : The path to the output label binarizer — as you’ll see shortly, we’ll extract the class labels from the dataset directory names and build the label binarizer. We also have one optional argument, --plot . If you don’t specify a path/filename, then a plot.png file will be placed in the current working directory. EPOCHS: The total number of epochs we will be training our network for (i.e., how many times our network “sees” each training example and learns patterns from it). INIT_LR: The initial learning rate — a value of 1e-3 is the default value for the Adam optimizer, the optimizer we will be using to train the network. BS: We will be passing batches of images into our network for training. There are multiple batches per epoch. The BS value controls the batch size. IMAGE_DIMS: Here we supply the spatial dimensions of our input images. We’ll require our input images to be 96 x 96 pixels with 3 channels (i.e., RGB). I’ll also note that we specifically designed SmallerVGGNet with 96 x 96 images in mind. We also initialize two lists — data and labels which will hold the preprocessed images and labels, respectively. We loop over the imagePaths on Line 51 and then proceed to load the image (Line 53) and resize it to accommodate our model (Line 54). Now it’s time to update our data and labels lists. We call the Keras img_to_array function to convert the image to a Keras-compatible array (Line 55) followed by appending the image to our list called data (Line 56). For our labels list, we extract the label from the file path on Line 60 and append it (the label) on Line 61. If this process seems confusing to you, I would encourage you to open up a Python shell and explore an example imagePath by splitting the path on your operating system’s respective path separator. Here we first convert the data array to a NumPy array and then scale the pixel intensities to the range [0, 1] (Line 64). We also convert the labels from a list to a NumPy array on Line 65. An info message is printed which shows the size (in MB) of the data matrix. Then, we binarize the labels utilizing scikit-learn’s LabelBinarizer (Lines 70 and 71). We initialize aug, our ImageDataGenerator , on Lines 79-81. We’re going to use the Adam optimizer with learning rate decay (Line 87) and then compile our model with categorical cross-entropy since we have > 2 classes (Lines 88 and 89). From there, we make a call to the Keras fit_generator method to train the network (Lines 93-97). Be patient — this can take some time depending on whether you are training using a CPU or a GPU. We serialize the model (Line 101) and the label binarizer (Lines 105-107) so we can easily use them later in our classify.py script. --model : The path to the model that we just trained. --labelbin : The path to the label binarizer file. --image : Our input image file path. Here we load the input image (Line 22) and make a copy called output for display purposes (Line 23). Then we preprocess the image in the exact same manner that we did for training (Lines 26-29). In order to classify the image, we need the model and label binarizer in memory. We load both on Lines 34 and 35. Subsequently, we classify the image and create the label (Lines 39-41). On Lines 46 and 47, we’re extracting the name of the Pokemon from the filename and comparing it to the label . The correct variable will be either "correct" or "incorrect" based on this. Obviously these two lines make the assumption that your input image has a filename that contains the true label. Append the probability percentage and "correct" / "incorrect" text to the class label (Line 50). Resize the output image so it fits our screen (Line 51). Draw the label text on the output image (Lines 52 and 53). Display the output image and wait for a keypress to exit (Lines 57 and 58). We’re now ready to run the classify.py script! Brilliant Post as usual.Thanks for sharing your knowledge. Here I have to add pictures to the photo collection and then training again on all old and new photos? As everyone knows, this needs too much time. The timeframes should be changed based on how often new images are added of course so you would need to change them to whatever is appropriate for your project. I also cover how to fine-tune a network inside Deep Learning for Computer Vision with Python. if i want to split my dataset into train, test and validation, what is the good method to do that? not only splitting dataset into train and test only. You would use scikit-learn’s train_test_split function twice. The first time you split the data into two splits: training and testing. You then split a second time on the training data, creating another two splits: training and validation. This process will leave you with three splits: training, testing, and validation. now i want to try top-5 accuracy, do you know how to do that? I discuss rank-5 accuracy, including how to compute it, inside Deep Learning for Computer Vision with Python. 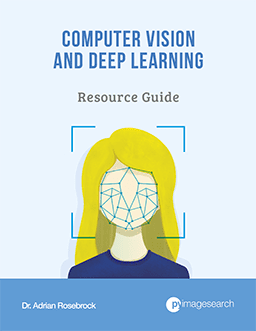 Refer to Deep Learning for Computer Vision with Python for more details, including implementation. nice post Adrian!! !, while running , I have got this error , “error: the following arguments are required: -d/–dataset, -m/–model, -l/–labelbin “, Plz help me in this..
You need to supply the command line arguments to the Python script. Make sure you read this tutorial to help get you started. I tried to do the same on 5 actresses. I got 44% accuracy on the validation and above 80% on the main group. I have ~280 pictures for each actress. How to increase the accuracy? Do you have other ideas? maybe play with the training parameters (alpha)? Training a network to recognize faces on an entire image is not going to work well at all. This dataset looks smaller than MNIST! I thing you should rather teach us how to work with real world data, where there a lot of classes, and the data is much more imbalanced. I discuss how to gather your own training data in a previous post. The post you are commenting on is meant to be an introduction to Keras and CNNs. If you want an advanced treatment of the material with real-world data I would kindly refer you to my book, Deep Learning for Computer Vision with Python, where I have over 900+ pages worth of content on training deep neural networks on real-world data. As always a really great post! I was wondering if it’s possible to classify several objects in a picture (an image with several pokemons in it?) kinda like in one of your other great posts https://www.pyimagesearch.com/2017/10/16/raspberry-pi-deep-learning-object-detection-with-opencv/, using the models I train using Keras? Hey Jesper — I’ll be writing a blog post on how and when you can use a CNN trained for image classification for object detection. The answer is too long to include in a comment as there is a lot to explain including when/where it’s possible. The post will be publishing on/around May 14th so keep an eye out for it. You are the superman of so many things – thanks also for the distinction between image classification and object detection. These blogs are so good! Hi Adrian, thank you for the great explanation in detail. During my computer vision course we were given 2 projects and I have used a lot of algorithms from your website. In the last project it is not required to use Deep-learning but I went for it anyways as a bonus, and i’m using your pokedex code. Nice! Best of luck with the project Sean. I hope it goes well. Good job as usual Adrian. I learned so much from this blog series! Hi, I loved this post and found it really useful as a beginner learning about CNN’s. If you’re working with an image dataset too large to fit into main memory I would suggest reading through Deep Learning for Computer Vision with Python where I discuss my best practices and techniques to efficiently train your networks (code is included, of course). hi adrian. how can I use this network to select the object in the image, such as the face. Hi Alex — what do you mean by “select”? Can you clarify? Perhaps you are referring to object detection or face detection? You cannot use this exact model for object detection. Deep learning object detectors fall into various frameworks such as Faster R-CNN, Single Shot Detectors (SSDs), YOLO, and others. I cover them in detail inside Deep Learning for Computer Vision with Python where I also demonstrate how to train your own custom deep learning object detectors. Be sure to take a look. I’ll also have a blog post coming out in early May that will help discuss the differences between object detection and image classification. This has become a common question on the PyImageSearch blog. Finally, if you are specifically interested in face detection, refer to this blog post. did you try to use CNN for iris recognition? Hi Bostjan — the iris of the eye? I have not used CNNs for iris recognition. This is not an error, it’s just a warning that the libpng library when it tried to load a specific image from disk. It can be safely ignored. by the way, can i use this model for one classification only? I’m not sure what you mean by “one classification only” — could you clarify? To train a model you need at least two classes. If you want to detect only cats you should create a separate “background” or “ignore” class that consists of random (typically “natural scene”) images that do not contain cats. You can then train your model to predict “cat” or “background”. I would like to know how to set class weights for imbalanced classes in Keras. I remember I read it in DL4CV but I can’t find it. Can you point me to the chapter? Hi Gilad — the chapter you are referring to is the “Smile Detection” chapter of the Starter Bundle. Very neat article, though I think there is still something to be said about Pokemon (and children’s media in general) being pre-engineered to be easily identifiable. Musing about a real-life equivalent, many esteemed researchers argue over which animals belong is which categories. I would be interesting to see a neural net which classifies animals among say, the order of ungulates. Really cool and great work! About to start on some hobby work involving Keras and OpenCV installed in Blender environment. Thanks for your great post. I want to detect more than one object and draw rectangle around them. How can i modify code? Classification models cannot be directly used for object detection. You would need a deep learning object detection framework such as Faster R-CNN, SSD, or YOLO. I cover them inside Deep Learning for Computer Vision with Python. Amazing post. Really helpful for my project. Eagerly awaiting your next post. Hey can you also make a tutorial for object detection using keras.. I cover deep learning object detection inside Deep Learning for Computer Vision with Python. I have your 3 books. Could you please tell me where is the chapter that covers deep learning object detection. The “ImageNet Bundle” and “Bonus Bundle” both cover deep learning object detection. Adrian a great post, something I have been looking forward to. How would you save the Keras Model in a h5 format.? If you call the save method of a model it will write it to disk in a serialized HDF5 format. when i’m doing scaling my own data set on size 224 x 224 i got memory error, but the error not occurred if i used size 128 x 128. Your system is running out of RAM. Your entire dataset cannot fit into RAM. You can either (1) install more RAM on your system or (2) use a combination of lazy loading data generators from disk or use a serialized dataset, such an HDF5 file. I demonstrate how to do both inside Deep Learning for Computer Vision with Python. This is a problem with the TensorFlow engine shutting down properly. It will only happen sporadically and since it only happens during termination of the script it can be safely ignored. Thanks a lot for such a wonderful post. I am doing my project somewhat similar to this. But in my dataset, I have only two Labels. One is background and in another different person with the background. I want to detect the presence of these people i.e i want to classify images into presence or absence (based on the presence of a person). But images in my dataset are of size 1092 X 1048 pixels. I have resized them to 512 X 512 using cv2.resize() function. My question is can I use this same model for the training. If not, how can I decide the model suitable for this case? I believe I have to use a deeper network because the size of images used is much large. Instead of training your model from scratch is there a reason you wouldn’t use existing deep learning networks that are trained to perform person detection? Secondly, if you apply face detection using Haar cascades or HOG + Linear SVM you may be able to skip using deep learning entirely. Depending on your input images, in particular how large, in pixels, the person is in the image, you may need to play around with larger input image dimensions — it’s hard to say which one will work best without seeing your data. Great post! I went through this exercise with 250 images of water bottles, 250 of tennis balls, and 60 of dog poop. Yes dog poop. There’s a story in there for later. Anyway, it classifies anything that looks like any of the three classes as dog poop and one image of a tree as a tennis ball with 50% confidence. Most of the images are fairly well cropped. The failures on water bottles and tennis balls really surprise me. Is it likely that I just don’t have enough samples of the dog poop class? You may not have enough examples of the dog poop class but you may also want to compute the class weights to handle the imbalance. Ran this code on AWS running a c4.2xlarge instance. No problems. Messed up first time using the wrong AMI image, Version 1.2 is required. I am running this again now using bee images obtained using the bing image search as outlined by you Adrian, about 11000+ images with 35 classes. I suspect I may need to run this on a GPU instance, only time will tell. Congrats on getting up and running with your dataset and network! For 11,000 images I would likely suggest a GPU instance, but that really depends on which model architecture you are using. You are quite right. Do not have the time or budget to use CPU only. Even using just a single GPU gives a ten times reduction in the time to produce the model, that is using a p2.xlarge. So now I am going to look at the Microsoft offering and see how it fairs. thanks for your great work. These posts are extremely helpful. That said, I do have a question and wonder if you can help. I’m running a paperspace P5000 instance w/ 16GB GPU memory and 30 GB general memory. When I was running your example w/ TensorFlow GPU support I got a memory warning/error. Is there any way to set this up, so it does not run into any issues? One would think that 16GB are enough for this example? Hey Dirk, I’m sorry to hear about the issues with the training process. 16GB of memory is way more than sufficient for this project. My guess is that you may be running some other job on your GPU at the same time and TensorFlow cannot allocate enough memory? Otherwise it may be a Paperspace issue. Perhaps try to launch a new instance and see if it’s the same result? Unfortunately I’m not sure what the exact error is, other than it’s likely an issue with the specific instance. I followed along and created all the scripts while going through you’re posts. I don’t currently have a .model file in my project structure, but figured it would be generated at this point of execution. What am I missing? It looks like your “model” object was never defined. You do not recommend copying and pasting along with the tutorial. It’s too easy to miss code snippets or point them in the right place. Make sure you use the “Downloads” section of this tutorial to download my code. From there you can compare it to your own and determine what snippet you missed. Is it possible to convert the saved model to a format that can be used by the Movidius Neural Compute Stick (NCS). From the NCS documentation it seems that it will accept Caffe or TensorFlow format models. I know “read the docs” but I am wondering of anybody knows off the top of their heads or have even attempted to use the NCS in this context? 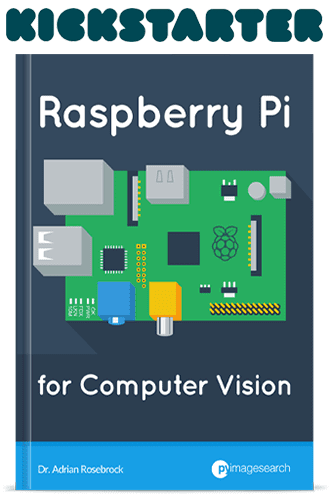 I am looking to use this in conjunction with a Raspberry Pi. Not the same kudos as the Apple but a-lot cheaper overall. Keras models are not directly supported by the Intel NCS SDK and their team but from what I understand it is on their roadmap. There is an open source tool that claims to port Keras models to TensorFlow graphs to NCS graphs but I have not tried it and cannot speak to it (other than it exists). After training model with all pokemons. Can I remove a specific pokemon (for example Charmander) such that it can’t be recognized anymore? You would need to apply transfer learning, in particular fine-tuning to remove or add classes from a trained network. I cover transfer learning and fine-tuning inside Deep Learning for Computer Vision with Python. Hey, can you also make a tutorial to develop a object detection model using keras: SSD. Hey Shashank — Deep Learning for Computer Vision with Python already covers object detection, SSDs, and Faster R-CNNs. Give it a look! First of all thank you for this great tutorial. It helped me a lot! Now I’m trying to deploy Keras model on Heroku with Flask but I couldn’t handle it. Can you make a tutorial about it? It looks like you’re using the command line arguments correctly but it is not finding the image argument. Perhaps in Windows you need to enter all the arguments on one line without the backslash. I’m a bit confused as to what “% (incorrect) or % (correct)” is telling us. The “correct” and “incorrect” text is determined via the filename. It’s only used for visual validation and to show us that our network correctly predicted an object. It will check the filename for the class label and then compare that to the prediction. If it matches then the prediction is “correct”. If it does not match, the prediction is “incorrect”. how to decode the predictions? so on the output shows all classes that we have, not only one class? Hey Akbar — are you referring to showing the probabilities + human readable class labels for each possible label? An easy way to do this would be to use the LabelEncoder object’s “.transform” method. Thanks Adrian for the wonderful post. I have question. If I want to run the model for image size 28x28x4 (28 pixels, 4 bands R,G,B,NIR) where should I modify in the script? Yes, you will need to modify the network to accept an extra channel provided you would like to pass it through the network. Unfortunately I do not have any tutorials on the topic and none come to mind off the top of my head. If I come across any I’ll come back and update this comment. Hey Lisa — what version of scikit-learn are you using? I created this project using scikit-learn 0.19.0 so I doubt that’s the issue. Perhaps try re-installing scikit-learn and see if that resolves the issue. “ValueError: y has 0 samples: array(, dtype=float64)” .Plz help me in this..
Is there a particular reason you want to skip data augmentation? Typically you would use it in nearly all situations. If you do not want to use the data augmentation object you can just call model.fit. I have already created multiple images from sample images using contrast, brightness adjustment and adding random noise. After combining these different sets i have final collection of data-sets in which every class has around 5000 images. 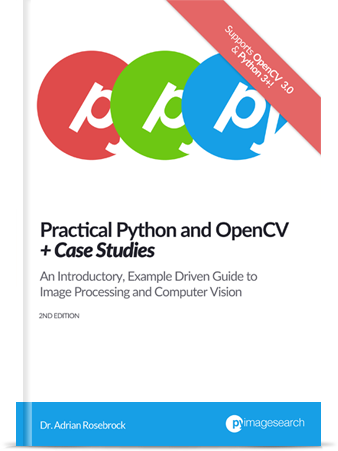 All these pre-processing is done using openCV and python. Also i am working on CPU, so i wanted to reduce the complexity. I do not want to perform data augmentation like horizontal flip, crop and others because it may eliminate the required region of interest. Got it, that makes sense. If you have already created your image dataset manually and created the data augmentation manually then you would just call the “.fit” method of the model. That said, I would still recommend creating a custom Python class to perform your required data augmentation on the fly. You would simply remove those lines. They would not be needed if (1) you are not using command line arguments and (2) your input image paths would not contain the label for the image (which the code would use to validate that the prediction is indeed correct). Great post as always. I am trying to use the code for binary classification (say cat vs dog). Gathered around ~200 samples each using Bing API. I am stuck at ~55% accuracy even after 100 epochs. Both training and test accuracy are low. What am I missing here ? What needs to be changed ? Really appreciate your help. No, the final dense layer needs to have as many nodes as there are class labels. If you have two classes you need two nodes in that final dense layer. I did not get the concept behind it. why you have given same input_shape, each time you are using model.add function. After every convolutional layer, the input shape should change. Am I wrong? Please clear my doubts. Are you asking why I explicitly use the padding=”same” parameter? If so, I only want to reduce the volume size via the pooling operations not via convolution. No, i was asking about parameter “input_shape=inputShape”. Because after every convolutional layer, the input shape should change but here initial input shape of image is provided to every layer. I am really confused with the parameter input_shape. The CONV layer is the first layer of the network. We define the input shape based on the parameters passed to the “build” method. For this example, assuming TensorFlow ordering, the input shape will be (96, 96, 3) since our input images are 96×96 with a depth of 3. Based on our CONV and POOL layers the volume size will change as it flows through the network. For more information, examples, and code on learning the fundamentals of CNNs + Keras I would recommend taking a look at Deep Learning for Computer Vision with Python where I discuss the topic in detail. I think what Shubham is asking is, why are we giving inputShape each time we add Conv2D to our model. Is it not enough to give to the first layer alone ? Rest of the layers, it should be automatically calculated from the previous layer’s dimensions right ? Thanks Arun! I understand the question now. Yes, the input shape does not have to be explicitly passed into the Conv2D layer after the first one. It does for the first, but not for all others. I accidentally left it in when I was copying and pasting the blocks of layers. I’ll get the post updated to avoid any confusion. Thanks Arun and Shubham! Any ideas what I must have screwed up to be able to get that far, but no further? i guess this error is all because of data. I tried using my own data set and received the same error. Thanks for such an awesome post. Pokedex.model is an unknown area. Did you code anything there which is not provided. What exactly it is? Hi Kin — could you clarify what you mean by “an unknown area”? I’m not sure what you are referring to. Sorry Adrian, I didn’t frame my question correctly. I wanted to understand how to made pokedex.model. Is it pre-built for you prepared it. I am new to Deep learning and Computer Vision. Pardon me if it’s a stupid questions. The “pokedex.model” file is created after you run the “train.py” file in this post. The “train.py” file trains a Keras CNN. This model is then serialized to disk as “pokedex.model”. If you’re new to deep learning I would suggest working through Deep Learning for Computer Vision with Python to help you get up to speed. Hi Adrian, thanks for the response. I will definitely start referring that. W tensorflow/core/framework/allocator.cc:101] Allocation of 33554432 exceeds 10% of system memory. But is working till now, is too much time, I dont know, maybe my computer is not good enough for running with that dataset, or I have to change the dataset, or make it for parts, I need help, thanks for your time. This tutorial assumes that you can fit the entire image dataset into memory. The dataset is too large for you to fit into memory. Take a look at Keras’ “flow from directory” methods as a first start. You should also take a look at Deep Learning for Computer Vision with Python where I demonstrate how to work with datasets that are too large to fit into memory. Hi Adrian!, great job! 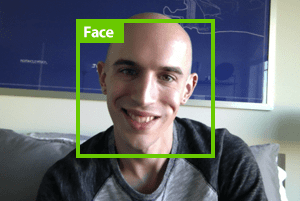 i have a question… i was testing the neural network for facial recognition and the result i think was good with the training set, but with my testing set it shows “incorrect” and displays the correct name of the face label. and that result confused me. can you explain me why that happens? i’m new on this and i want to learn and understand more about it. pls help me to understand why it recognizes the face but shows incorrect. I should really remove the “correct/incorrect” code from the post as it seems to be doing more harm than good and just confusing readers. Keep in mind that our CNN has no idea if it’s classification is correct or not. We validate if the CNN is correct (or incorrect) in its prediction by letting it investigate the input file path. If the input file path matches the correctly predicted label, we mark it as correct. This requires that our input file paths contain the class label of the image. This is done only for visualization purposes. Again, if it’s confusing you, ignore that part of the code. I’ll be ripping it out of the post next week as again it’s just causing too much confusion. Hey Lee — what version of Keras are you using? I haven’t encountered that particular error before. can the above code run on a laptop? for example laptop i use i5 and 8gb ram? Yes, the code in this tutorial can run on a laptop (you do not need a GPU). If you want to use a different dataset keep in mind that this method will store the entire image dataset in memory. For a large dataset you’ll run out of RAM so you would need to either (1) update the code to apply Keras’ flow through directory or (2) follow my method inside Deep Learning for Computer Vision with Python where I demonstrate how to serialize an image dataset to disk and then efficiently load batches from the dataset into memory for efficient training. How can i test on batch not on individual images? i want to test it on batch. The model.predict method will naturally accept batches of images, and in fact, our code is already working for batch processing, we are just using a “batch of one” for this example. To build a batch with more than one image you would loop over all images apply the pre-processing steps on Lines 26-29, building a NumPy array of images as you go. From there you can pass the entire batch through the network. If you’re interested in learning more about batch image classification be sure to refer to Deep Learning for Computer Vision with Python. 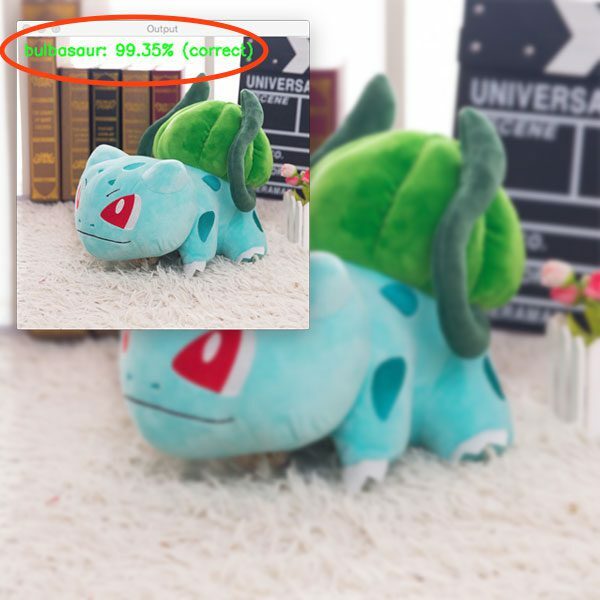 i was thinking what if in test images there are also images which doesn’t contain Pokemon toys then what output it should produce.? I would suggest training a separate class called “background” or “ignore”. Take a look at this blog post for more information. Hi, if we have 1000 pokemon images for each class, how we know wich epochs and batch size would be correct in order to have a good accuracy? The number of epochs and batches are called “hyperparameters”. We normally run many experiments to manually tune such hyperparameters. The batch size wouldn’t typically change (it’s normally the largest value that could fit in your GPU). The epochs may change but you would manually run experiments to determine this. I am trying to implement my own dataset on this CNN model . Is it possible for the CNN to take multiple images at the same time and then classify. 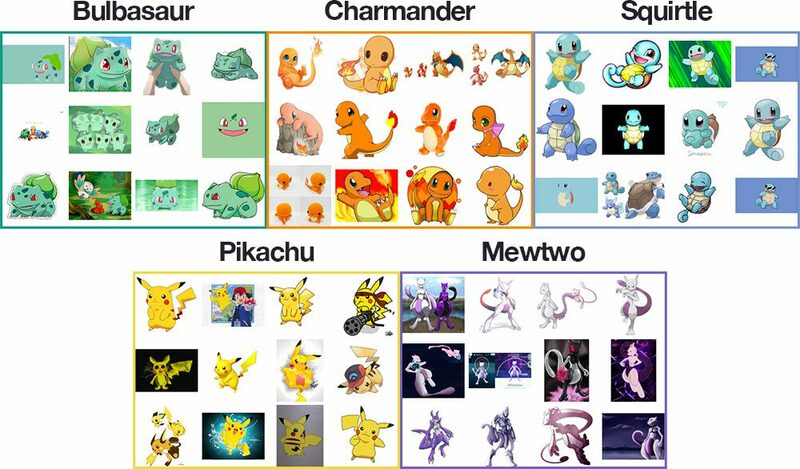 For example If i give 20 images of just charmandar during the testing phase and the network would use all those 20 images and make a decision based on those images that what type of pokemen it is? Yep! What you are referring to is called “batching”. CNNs naturally batch process images. You would build a NumPy of your (preprocessed) images and then pass them to the .predict method of the model. The model will classify all 20 of your images and return the probabilities of each label. If you had 20 images and 100 classes you were predicting your returned array would be 20×100. what if I give it 20 different images of the same pokemon and I want only one prediction?. There are a few ways to approach this but the most simple method would be to make predictions on all 20 images and then average the probabilities for each class together. How do you delve into the model to find out what “features” such as color has the most “weight”. I wouldn’t have thought that the model is human readable? You can visualize the activations for each layer. This article on the official Keras blog will help you get started. Hello. I am trying to do a model with a different dataset (only with two classes), and I stuck in this error, and I don’t know how to fix it. Could you bring me a hand with it? The scikit-learn implementation of LabelBinarizer will not work for only two classes. Instead, you should use the “np_utils.to_categorical” function included in Keras. Also make sure you swap out categorical cross-entropy for binary cross-entropy. Be sure to refer to this post to help you get started. So can you please help me where I have to change the code in the above exercise. Based on the error I think you have an issue parsing your class labels. Double-check your label parsing and ensure they are vectorized properly. I am experiencing the same error. How do I check that they are vectorized properly? Make sure the output is what you expect. In this case your input paths are likely incorrect in which case the labels list won’t be populated properly. libpng warning: iCCP: known incorrect sRGB profile. Is that anything I should be worried about? Should I modify my training data?? I just found your blog and running the code examples are really easy & well written compared to others… Will your new deep learning book go on sale again? I should have jumped on that! That is a warning from the libraries used to load PNG images from disk via OpenCV. It is just a warning, it can be safely ignored and will not have an impact on training your Keras model. As for a sale on my deep learning book, no, I do not have any plans to run another sale. If you’re new to Python command line arguments you’ll want to read this blog post. I want to perform image classification on a dataset made of 1000 classes of very similar objects (medical pills). I am going to fine-tune a pre-trained model like mobilenets or Inception and then my idea is to deploy the model in a mobile app (Android). I am wondering about the hardware limitations of the smartphone because the majority of tutorials and examples of mobile applications regarding image classification or object detection focus on a limited amount of classes. I am not sure if this methodology of the 3-post series is adequate for my specific problem, what do you think? Besides, I am worried about the similarity between the classes, which I believe would be an obstacle to obtaining a good performance! Do you think it is possible to achieve a good performance? Thank you so much for this series of posts, I really appreciate your work! Keep going! 1. You’ll likely want to use a different architecture than the one I discussed here but keep in mind that state-of-the-art networks such as MobileNet can run on mobile devices. I wouldn’t be too worried about that yet. 2. Instead, what you should be worried about is the similarity of pills. Try to solve that problem first. I have a lot of experience with prescription pill identification and I can tell you it’s an incredibly challenging problem. 3. Spend a lot of time gathering data of your example pills you want to recognize. You’ll need the data. Thanks for the reply, Adrian. I followed your series of posts which ended with the “Deep learning in production with Keras, Redis, Flask, and Apache” and Ifound it pretty awesome. It would be a solution if the mobile app used the API to perform the classification, what do you think? What would you recommend to deal with the similarity of the pills and what does this problem so challenging, in your opinion? In my dataset, I have only 10 or so pictures per class. Would you do data augmentation beforehand? Thank you so much for you answers! It’s really important for me to get feedback from an expert. You could have the API perform classification but keep in mind that will require the mobile device to upload the image to the API which of course requires an internet connection. That may or may not be possible in some situations. You will need to do your research there. If you have only 10 images per class I would spend your time building a larger dataset. You should be in the 100-1,000 images/class range before trying to train a CNN on pill images. I am performing image classification on a data set made of 6 different classes of 2000 images in each class of watermark detection. I tried your model but achieved the accuracy not more than 69%. I just found out that there are quite similar images but with different watermarks in each class, will they be causing the problem to achieve high accuracy on running my model on CPU version.? Is there any other model would you recommend? How can i achieve high rate of accuracy when and what are the parameters do we need to keep in mind while preparing dataset? Exactly which methods you should use and which techniques you should try is highly dependent on your project. Without knowing what those six classes are or what your end goal is it’s extremely challenging to provide guidance. My best general advice in this instance would be to read through Deep Learning for Computer Vision with Python where I discuss my tips, tricks, and best practices when training CNNs on datasets. This is great as usual. I am wondering how do you chose the model to classify with in testing. The last (100th) epoch may not be the best. So, do you choose the one with the best validation accuracy ? Or the smallest validation loss ? It really depends on the application. Keras includes methods and callbacks to handle serializing the “best” model based on whichever metric you choose. First of all thank you for such a great post! I am trying to classify the aerial satellite images which consists of one roof in every image and I am trying to classify them into their roof types. I have 3 classes with around 9000 images per class. Do you recommend neural network from scratch since I don’t see any pre-trained model with such data similarity so I am a little dubious about transfer learning. Also, do you recommend data augmentation? Also, I tried using your pokedex network for the same dataset but it validation accuracy seems to fluctuate a lot. Do you have any inputs that might help me? 1. Are you trying to perform classification, detection, or segmentation? 2. Unless you have a very specific reason not to you should always apply data augmentation. 3. Keep in mind that the Pokedex network accepts 64×64 input images. Without knowing what your images look like it’s hard for me to recommend a spatial input size but if you’re using aerial/satellite images you’ll likely need larger image dimensions. I am trying to perform classification of roofs. I have been able to extract aerial images with each image containing exactly one roof and I want to determine the type of the roof through the image. Each image of approximately of 256*256 size and I changed my network a bit accordingly and it gives me an accuracy of approximately 90%. My current network has 4 blocks of CNN with each block containing two layers. The final layer is a dense layer, of 1024 and then number of classes, softmax activation and dropout of 0..50. I chaged my input dimensions to 112*112 and for 120 epochs, batch size of 48 and data augmentation it performs okayish and I get and accuracy of around 90%. I tried using inception v3 pre-trained model, froze some of the layers and used my above mentioned last layer as the last layer but I don’t get a result better than 80% from that model. Any input from your end to make the model perform better would be appreciated! Thanks for the added details although I’m a bit confused by what you mean of 2 CONV layers of size 64×110. Are those your output volume dimensions? Or number of filters? As far as fine-tuning goes you may want to continue to tune your hyperparameters. You may want to apply feature extraction via the pre-trained net and train a simple linear model on top of them. In general I would recommend that you work through Deep Learning for Computer Vision with Python so you can gain a better understanding of how to train deep neural networks, including my best practices, tips, and techniques. This is just a bug in TensorFlow where the session manager is having an issue shutting down. It does not impact the results of training the model. You can safely ignore it. I am in training neural network, But it seems quite long process, So I reduce the Epooch to 3 ..
To see first the result, How its working ? The above line will work to see results ? Yes, training the model can take a bit of time, especially if you are using a CPU. If you would like to see the first result you would need to execute the classify.py script as you suggested. can i get an option on command prompt to change the no of epochs,no of cnn layers,batch size,filter size etc using argparse without always editing the code..
Hey Vamshi, are you asking how to edit the command line arguments to include the number of epochs and batch size? It’s totally possible but you would need to edit the code significantly. I would suggest creating a configuration file and then loading the configuration file via a command line argument. Then pass the configurations into your optimizer, model, etc. It will require you to refactor the code to handle additional parameters to the constructor. Again, it’s possible, but I would only advise you to continue if you feel comfortable enough with your programming skills. Thanks Adrian. very well and good job. I have a question. Is there any way to draw bounding box around each predicted object? Is this tutorial an object detection or a classification problem? thanks a lot. What you are referring to is “object detection”. I would suggest you read this blog post which will help you get up to speed. Hey Kemas — this model was not trained on Raticate so the model has no idea what Raticate actually looks like. You might want to take a look at this post where we introduced another class to to train on, a “background”, indicating that the input image/frame should be ignored. Am a newbie to ML and your blogs have been really helping me! Thanks a lot. Q. You used Lenet architecture earlier to solve a similar problem (Santa/not-Santa) and here you have used VGGNet. But in both cases, you trained the model only on your data, and aren’t depending on pre-trained data (like keras blog suggests to use vgg16 directly for cat/dog classification). Do you believe that would potentially increase the accuracy even further? Generic Q – how do you judge which approach works best, without trying out different options. I understand that depends on the problem, and the classes one is going after; but is there is an implicit qualitative ordering? 1. I’m actually not using VGG16. I’m training a smaller version called “SmallerVGGNet” from scratch. The network is inspired by the VGG-family of networks but is not pre-trained on anything. You could certainly use “transfer learning” (which is what you are referring to) to potentially increase accuracy. 2. I’m not sure what you mean by “implicit qualitative ordering”. Perhaps you can elaborate? Thanks for clarifying. All I meant was how do you know which approach to try for any given image classification problem – Lenet, VGGNet, ResNet etc.. or for that matter something not involving Deep Learning.. Or do you try all approaches, and then figure out which gives the best results..
Got it, I understand now. I would suggest taking a look at Deep Learning for Computer Vision with Python where I provide all of my best practices, tips, and suggestions when approaching an image classification problem with deep learning. You need to include a “background” or “ignore” class and train the model on random images that it may encounter in a real-world scenario that are not part of your fruit classes. Thanks for this tutorial, it is very helpful for a newbie. You saved the model weights and labels separately but I have seen others which saves the model as signature, graphs and variables. I tried saving this model using SavedModelBuilder (model.pb, variables.data and variables.index) but is unable to load it again for subsequent classification. Any suggestion/comments on using a different model save and reload is appreciated. The “SavedModelBuilder” function is actually a TensorFlow function. We’re using Keras in this blog post. You need to save the model using “model.save” I don’t believe “SavedModelBuilder” is compatible directly with Keras models (but I’ve never tried eitehr). Any thoughts on which libraries to use for prediction? We can predict with keras, opencv dnn, dllib? Which one should we choose? What it the best practice? 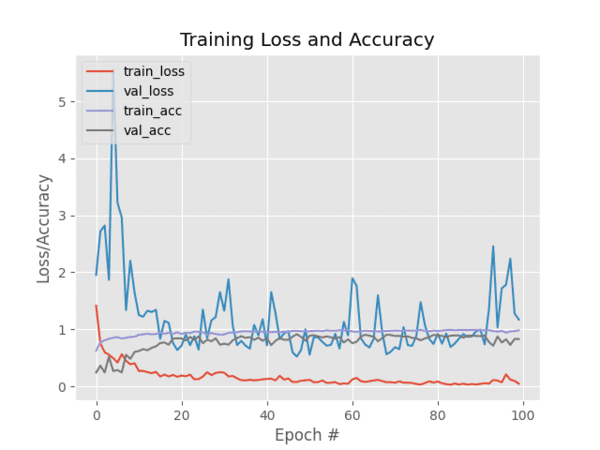 If you used Keras to train your model, I would suggest you use Keras for prediction. If you used dlib for training, use dlib for prediction. Great tutorial! I’ve been struggling forever on finding out how to format the training and testing data and labels. I’m currently doing object detection and classification and currently have a satellite dataset consisting of image chips (224×224) and each chip has multiple objects and classes. So what would the y_train and y_test look like? From all of the examples I’ve seen it looks like the ground truth data consists of a single class label per sample (i.e. a classification problem). My ground truth data consists of multiple bounding boxes and class labels per sample (e.g. image chip). Do you have any suggestions on how I should format/structure my data based on the ground truth? Thank you for your time! Keep in mind that object detection and image classification are different. I would suggest reading through Deep Learning for Computer Vision with Python where I discuss my best practices for both object detection and image classification, including how to format and annotate your data. I think it will really help with your project! You should refer to my reply to Jay for a detailed discussion on “correct” vs. “incorrect”. Hi, Adrian. very big thanks for all your helpful knowledge. I am working in the project of simple “autonomous driving” based image depth using CNN. I am a little bit good in CNN, learned from your blog, but still confused how to compute image depth map using CNN. would you please guide me or give me a guidance how to perform CNN in that case. Hey Miguel, it’s awesome that you are studying computer vision and deep learning. I don’t have any guides on estimating depth via single images with CNNs. I might be able to cover that in the future, but I don’t know if or when that may be. Fantastic post… Did try and got exact result that i wanted. Thank you so much Adrian !! ..
Congrats on your successful result, Diptendu! Nice job. I have been following you from long now.. I ran the above code with my own dataset. So I have a question. I had 9 classes and each class has 1020 images. I can see that the data is divided into 80% training data and 20% validation data. Now when I am training on my dataset the training is happening on only “229 Images”. So I tried to figure out why but I think I will need you help in this. so please let me know what am I doing wrong here. I can train another picture? You can use this code to train your own CNN on your own custom image datasets. How can i get vector of features for every image in dataset? Are you referring to transfer learning, and specifically feature extraction, using a CNN? Thanks for sharing your knowledge Adrian!. I’d like to do the same thing but to recognize the number of fingers I am showing. I have 5 folders with count 1 ,2 ,3 , til 5 fingers. I would like to get some help because I am getting a dimension error when using your code. Can you please guide me what things I can change so it will run. Thanks! I actually cover that exact problem (and include code to solve it) inside the PyImageSearch Gurus course. Be sure to take a look! This has really helped me understand ML. I have actually modified this and am using my data and I can get great accuracy (greater than 90%) with my examples! Congrats on training your model and having it working, Sean! Nice job. From there you’ll be able to loop over the results and obtain your probabilities. For more information on how to get started with CNNs, build batches, and make predictions, I would recommend working through Deep Learning for Computer Vision with Python where I include lots of practical examples and code to help you accomplish your project. I have a problem, even after changing loss function to binary for 2 labels as well. But we keep getting a problem saying activation_7 was expecting (2,) but got (1,). I’m using 640 x 480 images that are 500 images per label. Total 1000 images. Not sure how to solve the problem. I think you may be parsing your class labels incorrectly from the file paths. Double-check that your class labels were parsed correctly. How many labels are in your dataset? Keep in mind that you need at least two unique image categories to train the network. According to your error you may only have one class label. I have same issue even images are dog and cat. Can you kindly tell me how you solved this. thanks a lot for your posts, they are really great! I have a dataset with pictures in a large number of different sizes, what are the considerations when coming to select the size which all the pics have to be resized to it? If the selected size won’t be 96*96, what are the rules which according to them I have to change the smallervggnet? Your input image dimensions are typically dictated by which CNN architecture you are using. Typically input image dimensions include 32×32, 64×64, 96×96, 227×227, and 256×256. If you want to increase your input image dimensions for SmallerVGGNet you would likely need to add more layers to the network, but keep in mind that the more weights you add, typically the more data you’ll need to obtain a reasonable result. I would suggest you read through Deep Learning for Computer Vision with Python for more information. Can I use it on Raspberry Pi? Yes, but I would recommend that you only run the trained network on the Pi. I would not recommend actually training the network itself on the Pi. when I run train.py, on my anaconda prompt just showing “Using TensorFlow backend.” and the program is stop. Are you sure it has fully stopped and hung? Check your system monitor and ensure the process is still busy. Thanks adrian, it has been solved. I already run the py script and I got my model. And I have another question, Can we use GPU on windows OS for modelling the image instead of using CPU? Yes, but I do not support Windows officially here on the PyImageSearch blog. You’ll want to install TensorFlow with GPU support. From there TensorFlow, and therefore Keras, will automatically access your GPU. I have a question. You resize images to 96×96 px for both training and classification. I have used 32×32 px and it does not affect classification accuracy negatively, but rather speeds up training process, as well as brings minor classification speed ups in loading time (4 ms vs 3 ms) and trained model size (9 mb vs 90 mb). I have about 300 images per category (1500 in total). Don’t get me wrong, please. I certainly have no doubts that you definitely have reasons for using 96×96, but rather want to know “why”. Again, thanks a lot for your time and efforts! Thanks Artur, I’m glad you liked the tutorial! As for why you would choose varying image sizes for a CNN, it is entirely dependent on your dataset. For example, if objects in images are super small in a 96×96 image they would be virtually invisible if resized to 32×32. But if your object is the most dominant region of the image then you may be able to get away with a 32×32 image. Again, it’s highly dependent on your exact use case, your dataset, and how much quality data you have. Hello sir, your books and tutorials are just great. When I read your book and implementing the code it works fine but now I got this error “Nonetype object has no attribute compile”. It sounds like you introduced an error when copying and pasting the code. Make sure you use the “Downloads” section of the code to download the source code, ensuring it matches mine. I am very excited to see this blog, and tried to which runs well. But I’ve met one problem, I tried other pic which is not in these class, but it will become one of these class and the correct rate is very high. How can I solve it? You need to add a separate class to the architecture and name it “unknown”, “don’t care”, or something similar. Then, fill this class with random images your classifier may see but shouldn’t care about. From there, train your network. Thank you! I love this tutorial and the model covered here is easy to apply. I would like to add some classes and train the pretrained model but I don’t know how. Could you show me how to update the model and lb? Hey Andie, you can simply replace my “dataset” directory with your own dataset where each class label has its own subdirectory. If you follow my exact directory structure you’ll be able to train the model on your own dataset. If you’re looking to apply fine-tuning (i.e., training a pre-trained model) you should see my example inside Deep Learning for Computer Vision with Python. I am trying to perform image classification using CNNs and my code is based on yours. However, my validation accuracy is much lower than the training accuracy. After 50 epochs, I get 60% accuracy for training but only 20% for validation. My dataset is limited and i am trying to classify 1000 different classes of medical pills. I have only 10 images per class. I performed real-time augmentation which allowed me to enlarge my dataset. How can i get better results? Besides, my training loss is dropping well, reaching 1.5 while my validation loss stops at 5/6. How would you face this issue? As someone who’s built software to recognize nearly 10,000+ unique prescription pills, I can tell you that the problem is extremely challenging. With only 10 images per class it’s very, very unlikely that you’ll be able to recognize 1,000 different prescription pills unless you are doing some sort of triplet loss/training procedure. I would suggest investing your time in obtaining more training data. I would also suggest working through Deep Learning for Computer Vision with Python where I share my suggestions, tips, and best practices when training your own CNNs on challenging datasets. Hello, Adrian. This was a great post as usual. You are the best. In the post, you mentioned that you would deploy the program to a smartphone app. I couldn’t find that post. Could you please share the link? hi,Adrian ! i get problem when used the train.py,that is it saied allocation of exceed 10% of system memory.what should i do? Thank you so much for you to answer this question for me . It sounds like your machine is running out of RAM. How big is your image dataset? How many images are you working with? And how much RAM does your machine have? If you are working with datasets too large to fit into memory make sure you refer to Deep Learning for Computer Vision with Python where I discuss how to train CNNs on large datasets. Hi Adrian, great post! When I use your data set training works fine. I’d like to try to prepare model to distinguish 2 classes. I put my images into two separated directories inside dataset directory. My images are RGB images. However I have some issues with my data, I do not know why the dimension of trainY and testY are: (1106, 1) and (277, 1), instead of (1106, 2) and (277, 2) because of two classes. Do you have any idea what might be wrong? The LabelBinarizer class will return just integers for 2 classes rather than one-hot encoding. Use Keras’ np_utils.to_categorical instead. Hi Adrian, You mentioned that the SmallerVGGNet was designed for 96×96 image pixel right? suppose I want to modify the image dimenstion into 300 px, would you mind giving me tips in which part of the SmallerVGGNet.py I should change? Cause I tried to train a bunch of food images using your code, and it keeps resulting a low accuracy, So I think, perhaps I can’t train the food images with 96px. It’s unfortunately not that simple. SmallerVGGNet was designed with a balance between (1) image dimensions and (2) dataset complexity. You’ll want to consider if your dataset requires a network with a larger depth to accommodate the increase in input pixel dimensions. I would suggest referring to Deep Learning for Computer Vision with Python where I include my tips, suggestions, and best practices when creating and training your own custom deep neural network architectures. Be sure to give it a look, I’m confident the book will help you. Can I get the dataset in the above system you implemented?? Yes, just use the “Downloads” section of the tutorial to download the source code + dataset. How did you run Ubuntu for this tutorial? I’m running Ubuntu 16.04 on Windows 10 and if I’m thinking correctly, Ubuntu can’t access the directory I’ve set up on Windows with all the pictures. Is this correct and if so, could you recommend a work-around? Also, do all the images in the dataset need to be the same resolution or can they vary? If they need to be the same resolution, how would you ensure that using Bing Image Search API? I haven’t tried the Windows/Ubuntu integration (I haven’t used Windows in 11+ years now) but my suggestion would be to transfer your directory of code/images to Ubuntu via SFTP, FTP, Dropbox, or whatever is most convenient for you. From there you can execute the code from the Ubuntu terminal. As for your second question they don’t have to be the same resolution. I tried Modifying the code to take the video stream as input but I am getting 0.05 fps why is this classification so slow? That is very, very slow. It sounds like there is a logic error somewhere in your code. Try using this tutorial as a template for classifying individual frames of a video stream with a Keras CNN. i ask it’s possible to recognize person from the dog and cat program like a first experience for a beginner and to classify just two person, thank you in advance. Hi! Your articles are super fun and useful, so thanks! 99.9% percent of the time (at least with my code) the error is due to your directory structure being incorrect. You can verify by reviewing the parsed class labels — you’re likely parsing out the incorrect label from the file path. Double-check and triple-check your label parsing. I didn’t do anything on your code or folder structure but deleted 3 folders (./data/mewtwo, ./data/pikachu and ./data/squirtle). I wonder whether this code works for 2 classes. For only two classes scikit-learn’s LabelBinarizer will only produce integer encodings, not one-hot vector encodings. To resolve the issue use the LabelEncoder function and then Keras’ np_utils.to_categorical function. Training a deep neural network on a huge dataset is really time consuming. Is there any way to resume training starting on a particular epoch and iteration using Keras? Absolutely. You can use Keras checkpointing to save a model to disk every N epochs. From there you can re-load the model via the load_model function and resume training. 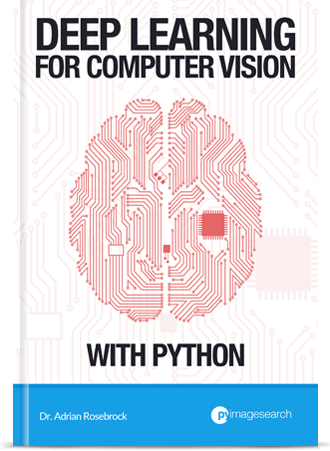 I cover exactly how to do that inside my book, Deep Learning for Computer Vision with Python. Thanks, you described it perfectly in your book in chapter 18. I highly recommend “Deep Learning for Computer Vision with Python.” to everyone. Hi ! Thank you for this great tutorial ! I’ve managed to run your code on my computer but it seems that the model won’t converge. I can’t reach the 97% of accuracy. I’m merely about 90%. Do you kow where this come from ? I have read your tutorials about object classification using SmallVGGNet. However, this architecture only supports low image resolution (96,96). I can’t use this architecture in my case in which I want to classify individual animals using only 3 or 4 high resolution images/individual for training. The resolution of images captured by Pi Cam V2 is 1944 × 2592 that I’m going to reduce to around 450×600 to ensure it still retains important information of patterns on the animal skin. I just wanted to know any suggestion from you on which architecture I can use for my case? Do you have any tutorial to support high resolution images? Thank you Adrian. You need more images. 3-4 images per individual animal is not enough. Additionally, you should look at triplet loss and siamese networks — they may work better in this case. I’m a beginner on DL and I started with the basic fashion-MNIST to practice, I read in another blog about a similar CNN model that instead of using RELU activation they use LeakyRELU, saying that it is better since some neurons tend to “die” with RELU, also I tested their implementation of the fashion-MNIST against yours to compare, and the time using their code was less than half then yours, although your accuracy was better, why such a difference? There are a variety of various activation functions including standard ReLU, Leaky ReLU, ELU, and other extensions. They are hyperparameters of your network that can be adjusted. I typically suggest using ReLU when building your initial model. Once you are able to train it and obtain reasonable accuracy swap in a Leaky ReLU or ELU and you might be able to get some additional accuracy out of it. I cover these activation functions and best practices on how to use them inside Deep Learning for Computer Vision with Python. You can use this tutorial to train your own CNN with a custom dataset. Have you given it a try? If you are looking for a more detailed guide on how to train your own custom CNNs be sure to read through Deep learning for Computer Vision with Python. Q1- If we have the tensorflow model, how i can convert that model to keras for using in the ios? Q2 – If we have one more model, is it possible to run on ios together? that’ mean, i want capture a image and feed into the model-1 and pass the result of the model-1 into the model-2? If it’s possible, publish a new post about deploy the model on android. I have a tutorial on Keras and iOS that you should read first. If your model is already in TensorFlow format then you can likely just use TFLite on the mobile device. You need to call np_utils.to_categorical on the labels after you transform them. Unfortunately the LabelBinarizer function will return integers if there are only 2 classes — I have no idea why they decided to implement it that way. Take a look at the scikit-learn documentation which will show you how to create and plot a ROC curve. You can safely ignore the warning, it will not affect the loading and training of the model. i have created a CNN model with 3 classes ( vehicles,birds,people ). now i have to do single prediction . how should i do that ? or which blog should i prefer ? If you are new to deep learning, training your own models, and making predictions, you should definitely read through Deep Learning for Computer Vision with Python where I teach you the fundamentals of deep learning and how to use Keras. Definitely give it a read as it will not only solve your problem but make you a better deep learning practitioner as well. You’re missing a few steps. Are you trying to train on images that are 96x96x1 or 512x512x1? You need to set those as your IMAGE_DIMS. Secondly, you need to convert your images to grayscale via cv2.cvtColor first. If you’re new to deep learning and Keras I would definitely recommend you read through Deep Learning for Computer Vision with Python first. The book will teach how you to train your own custom CNNs on your own datasets (including adjusting input image dimensions and grayscale conversion). Thank you very much for your always helpful post. I applied your code on my face database for face recognition purpose, it’s good but I’m new in keras and CNN and I would to ask you about the database split how can I do it. I need to evaluate my model on unseen data, is the unseen data that you test or classify your model on them are part of the original database and you split them for testing the model? and if it yes, what is the portion that I should to split it from each individual from the face dataset to become unseen data using for testing or evaluating the accuracy of my model to recognize that face? Can you please help me, I will be thankful for you. Also I would like to ask you when I retrieve the model and label that are saved to recognize the unseen data, the process is very very slow. I was split about 20% from my database as unseen data to evaluate the model, when I trained the model it go very fast, but when I want to evaluate the model on unseen data It is stopped on GPU say (Out Of Memory) and when I test it on CPU, It stills many days, Is what I did correct or I failed in specific point? Why the training go fast and evaluation is very slow? how many portion that should I split it from database as unseen data to be evaluated? I hope your help Thanks a lot. Typically you wouldn’t use a “standard” CNN such as this one for face recognition. You would use a siamese network with triplet loss, such as this one. To address your other question related to data splitting and running out of memory, make sure you read through Deep Learning for Computer Vision with Python which includes my tips, suggestions, and best practices for data splitting and working with large datasets. I am training a model for two classes. I have changed “loss” to “binary_crossentropy” from “categorical_crossentropy”. It got solved. I followed your reply for Hassan’s question. Your question has been addressed in the comments a few times. See my reply to Daniel and Tomas.